Every fashion enthusiast loves to stay on top of the season’s latest trends without breaking the bank. While we all admire high-end designer clothing, most college students can’t afford such luxury. Luckily, there are countless brands that provide the clothing to look trendy and put together without hurting our wallets, but it is all about knowing where to find those perfect items. A trend seen everywhere this season is checkered blazers. They are versatile, yet classic at the same time. 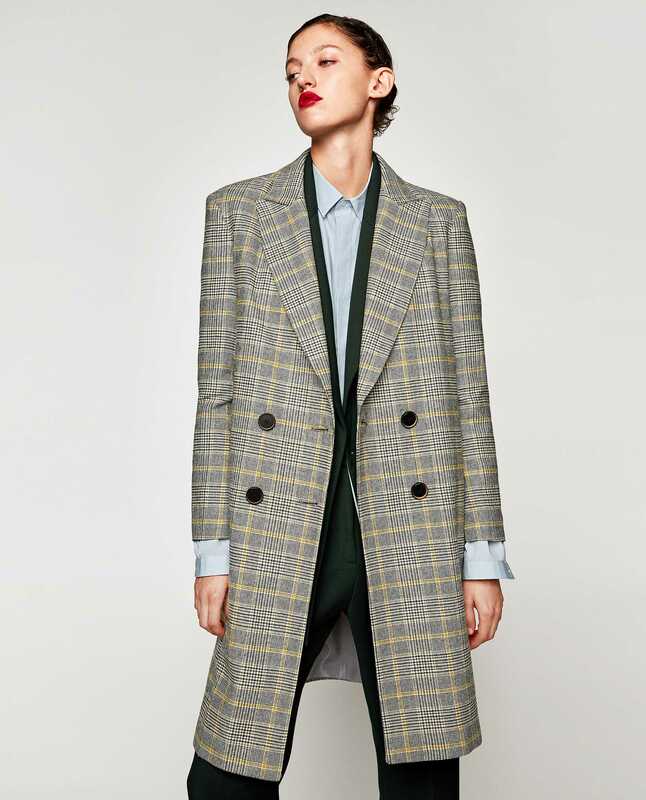 Stella McCartney features a grey, checkered blazer retailing for around $1500. However, Zara also came out with a blazer, extremely similar to the designer version, for a more affordable price of $120. This simple blazer can be styled in so many ways and can even be transitioned into spring and summer. For the colder months, this blazer with a simple black turtleneck, nice pair of cropped flare jeans and chic pair of booties is the perfect fall look. For summer, styled with a simple flowy dress and lace-up sandals is a great way to get use out of this blazer year round. A new version of combat boots come out every season with a new flare to them. Combat boots continue to be relevant with the rise of social media influencers like Hailey Baldwin and Kaia Gerber sporting the style. While most might think these are a winter only staple, combat boots can be worn with shorts and dresses as well. Zara has a black pair of for $129 that are sophisticated, yet edgy. On the other end of the spectrum, Lanvin sells a pair of boots for $995. These styles are nearly identical, but one has the designer label and the other has the right price. Another fall staple is a black leather bag. Crossbody bags are both practical and stylish and are definitely a top accessory in the fashion community. Jimmy Choo sells a black leather bag that could be yours for $1100, whereas, Zara makes a black leather bag with silver hardware that retails for $39.99. With strikingly similar characteristics, no one would know which is the designer and which is the dupe. All three designer pieces come to a total of almost $4000. The Zara lookalikes total less than $300. No trend is too unattainable thanks to stores like Zara, H&M, ASOS and Forever 21 that always make sure to take inspiration from the luxury brands and allow the everyday consumer to be on top of the trends.